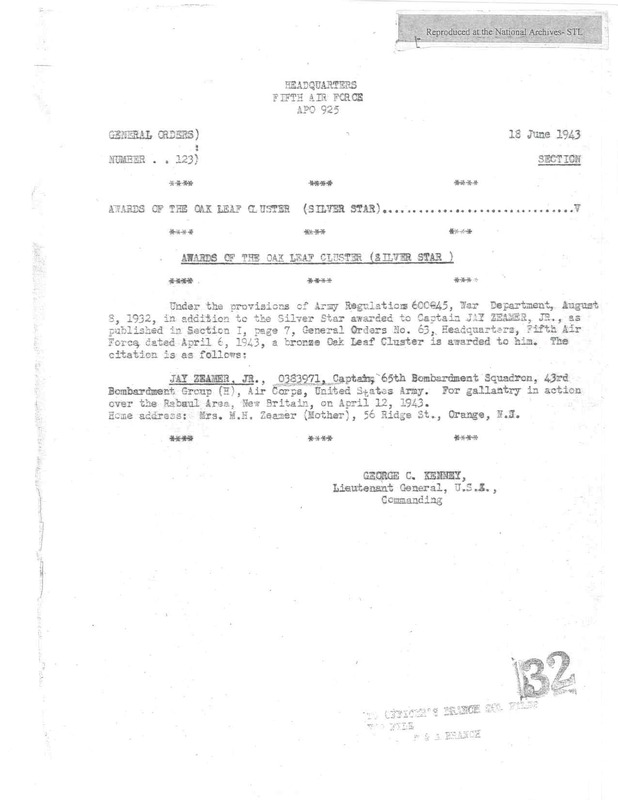 General orders awarding the Oak Leaf Cluster (Silver Star) to Jay Zeamer Jr., 18 June 1943. 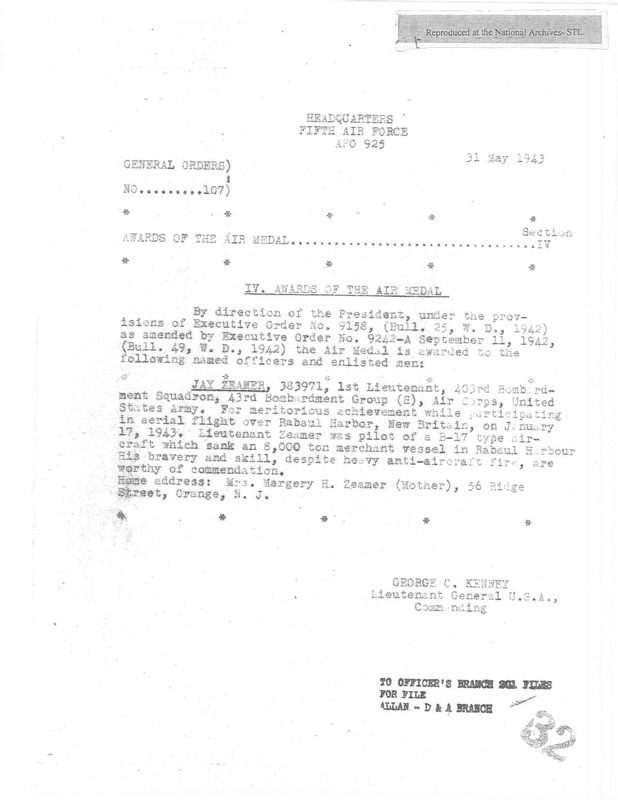 These are the general orders, dated 18 June 1943, awarding the Oak Leaf Cluster (Silver Star) to Jay Zeamer Jr. for action over Rabaul, New Britain, April 12, 1943. 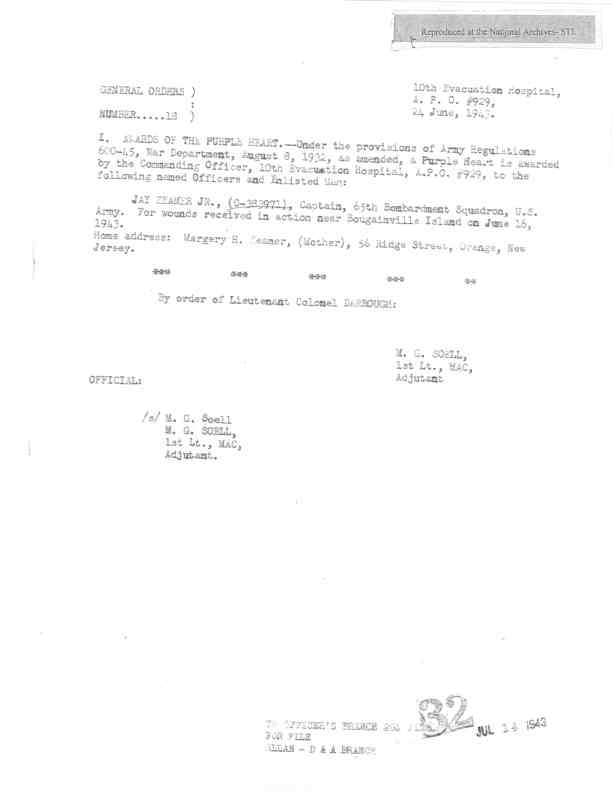 It also includes the orders for Zeamer’s first Silver Star, dated 6 April 1943.